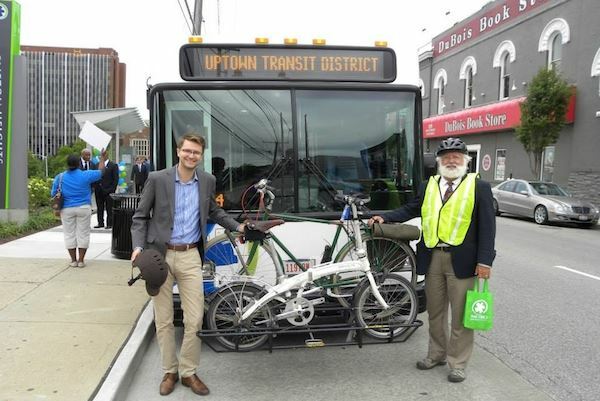 to become part of our 2018-2019 Cohort of Transit Friendly Destinations! A Transit Friendly Destination practices social and environmental responsibility by integrating transit into the organization’s culture. Any business, government agency, or other organization that actively promotes transit ridership for employees, customers, and guests can apply to become a Transit Friendly Destination. In 2017, Greater Cincinnati was ranked #1 on Site Selection’s Sustainability Rankings. As a Transit Friendly Destination, your organization will help keep our metro area #1 in sustainability, while also taking advantage of the many benefits that transit offers. Transit is a healthy and sustainable commuting option that can also provide savings to employees. Applications are currently being accepted on a rolling basis. Your application will be reviewed by the Transit Friendly Destinations Committee and you will be notified of your status. Qualified applicants will be certified as Bronze, Silver, Gold, or Platinum Transit Friendly Destinations. Contact wade@greenumbrella.org with any questions regarding your application. We may be able to recommend some easy-to-implement solutions that can help you boost your score!